First The author of The War State talked about the evolution of alternative media in the financial sector. Chuck explains this should be no shock to anyone following the trials and tribulations of his odyssey through the matrix of modern media. There seems to be opposition, controlled opposition, and establishment motivations no matter the focus of the media asset. 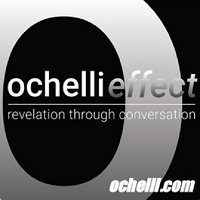 Does the Ochelli Effect fit into any category? Does Michael Swanson’s work? What is the price paid by honest media producers who do not design their presentations to fit the prejudice of the easily amused? Pearse Redmond then stepped into the fray to discuss levels of priority placed upon false and legitimate crisis level events. The strange adventures on the African continent were also discussed as the US Empire continues to Empire. All the MSM offers is headlines of recycled non-sense, the alleged alternative offers more creative and exceedingly greater levels of delusion, The Ochelli Effect and all we bring to you are as honest as we can make it.